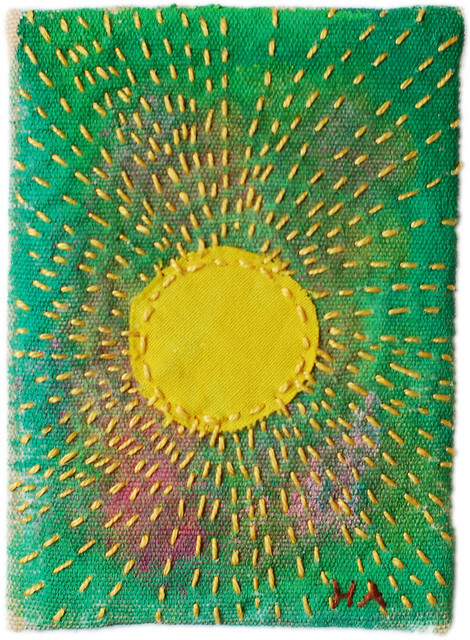 A few of my embroidered artist trading cards. The magic trees couldn’t grow without some magic sun. To be sure we’d never run out, I made three suns. 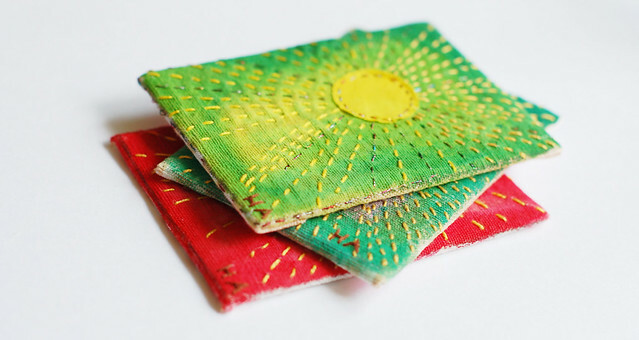 The Magic Sunshine series of artist trading cards stretches its rays all around the globe. Because there is a need of magic sunshine in the world. In the beginning there was the painted background. Then there were these. And there is no end. 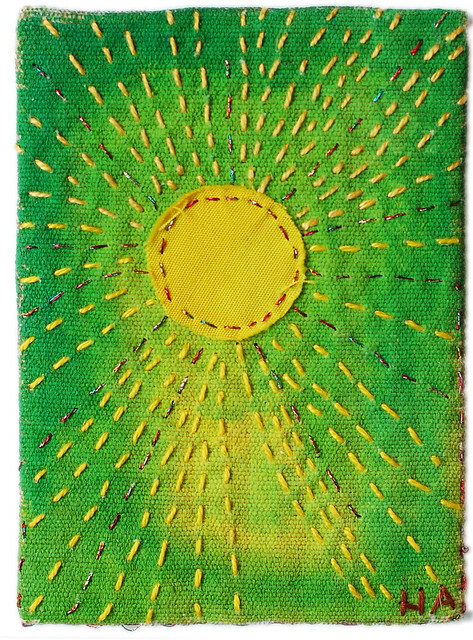 This entry was posted in Fabric Art and tagged ATC, embroidered atc, embroidery, in series, painted fabric. Bookmark the permalink. These are absolutely incredible. And I love them. I like the bright green one (the third in the second photo)! These are gorgeous, Hanna. They are so bright and cheerful and, well, sunny! 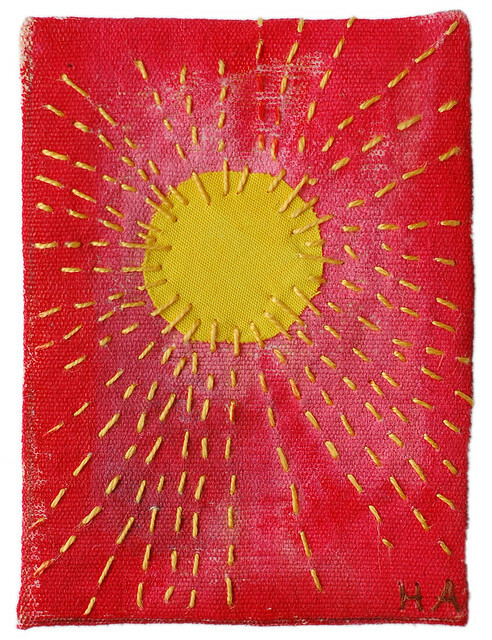 I need to start doing some embroidery like this – it looks like so much fun.